Properties in South Staffordshire District average 4.1 out of 5 stars. The Potting Shed on the Weston Park Estate is self-catering cottage ideal for a romantic stay. Property 5: The Potting Shed on the Weston Park Estate is self-catering cottage ideal for a romantic stay. Property 7: The Temple of Diana, on the Weston Park Estate with extensive views of Capability Brown Parkland. 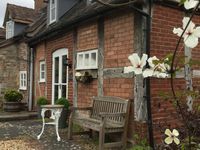 Property 8: Stylish cottage on the Weston Park Estate which is perfect for couples on romantic short breaks. Property 10: The Knoll Tower is a one-of-a-kind holiday cottage built in the late 1800s. Property 13: Donkey Shed Cottage. Grade II listed building in Bridgnorth. 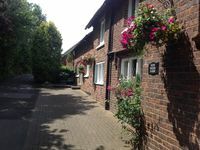 Carpenters Row, Ironbridge - Comfortable cottage, 2 bedrooms, 2 bathrooms. Property 43: Carpenters Row, Ironbridge - Comfortable cottage, 2 bedrooms, 2 bathrooms.